Small bathrooms tend to look smaller if you design them with prints. The best course of action is to paint your walls with bright colors that will match the fixtures in your bathroom such as the sink and the bathtub. 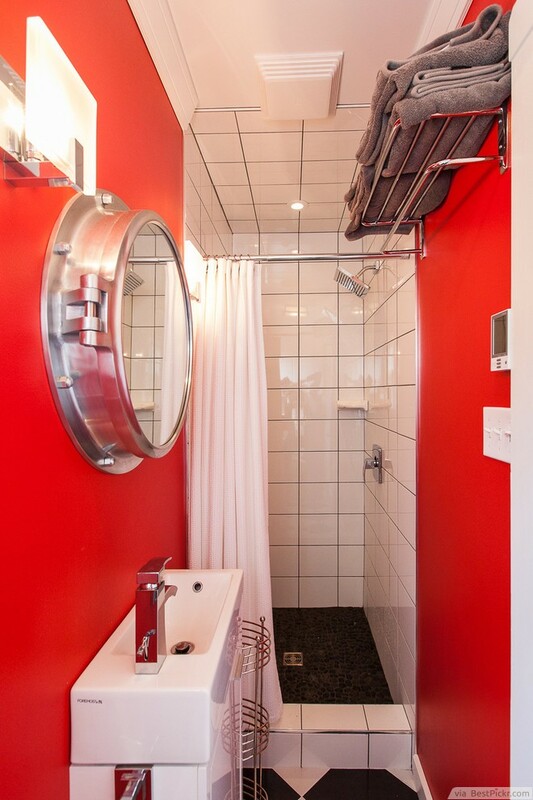 This bathroom idea serves as a good example: the white sink and tub go very well with the bright red walls. The silver towel rack and mirror also add to the overall appeal.